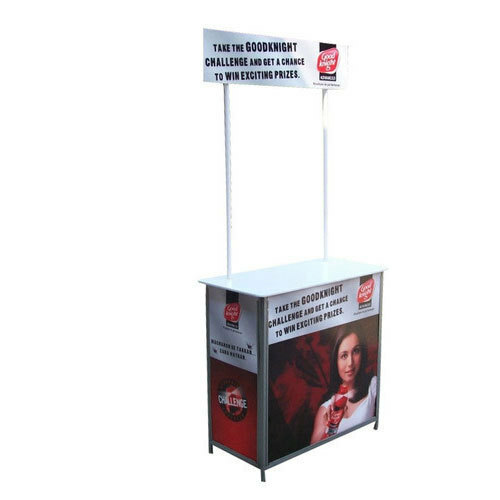 We are ranked on top by offering the best quality of MDF Promotional Table, which is known for its remarkable finish and quality. Our organization “Hari Om Enterprises” is contending in this realm for numerous years and these years of difficult task comes in a remarkable way that we are satisfying huge number of customers. Our organization is a Sole Proprietorship (Individual) based entity, headquartered at Triplicane, Chennai, Tamil Nadu. Since 2017, we are considering the specifications of the clients as our main concern and we are engaged in wholesale trading a qualitative spectrum of Exit Board, Promotion Table, Clip On Frame, Marker Board, LED Crystal Frame, Marker Pen, Roll Up Stand and many more.